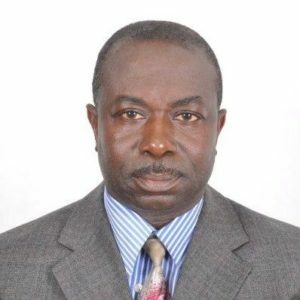 Yaw Adarkwah Antwi has more than 20 years of experience in land tenure and administration policies and holds a Ph.D. in Sub-Saharan Africa Urban Land Markets and an M.A. in Property Valuation and Law. Antwi has helped to develop land policies, particularly on the topics of land tenure, land management and agricultural development, in Liberia, Ghana, Nigeria, Sierra Leone and, within the COMESA region, Kenya and Sudan. Antwi is currently the country lead and senior land tenure expert on the Improving Tenure Security to Support Sustainable Cocoa project funded jointly by USAID and Hershey’s. Tell us about the Tenure and Global Climate Change Project in Ghana. Starting in 2016, Hershey’s and AgroEcom Ghana Ltd (ECOM), a supplier of cocoa to Hershey’s, began collaborating with USAID’s Tenure and Global Climate Change (TGCC) Program to gain a better understanding of how to address the complex challenge of deforestation around smallholder cocoa farming in Ghana. This initial work resulted in an assessment and recommendations for a future pilot, captured in the report Land and Natural Resource Governance and Tenure for Enabling Sustainable Cocoa Cultivation in Ghana. Over the period from February to December 2017, a pilot in Nyame Nnae, a cocoa farming community in the Asankrangwa district of Ghana, was initiated to clarify and document rights to land and trees, and to develop a financial model for cocoa rehabilitation. Through this pilot, we sought to encourage tree planting on existing cocoa farms to reduce pressure on the forest fringe. Worldwide, forests are being lost at an alarming rate driven by the expansion of internationally traded commodities. In response, companies have begun to remove deforestation from their supply chains, catalyzing the creation of the Tropical Forest Alliance 2020—a global public-private partnership aimed at reducing commodity induced deforestation. In Ghana, cocoa produced by smallholders has been the leading agricultural product driving deforestation for many years. Cocoa is a critically important commodity because it provides significant economic benefits that include jobs, improved livelihoods and social welfare, expanded tax base, higher family and corporate income and foreign exchange earnings growth. Cocoa production has been on the decline due to land and tree tenure insecurity, an elderly cocoa farming population, over-aged cocoa trees, high costs of cocoa tree removal, high incidence of pest and diseases and poor farm management practices. In 2016, Ghana’s Cocoa Board announced plans to more than double cocoa output to 1.6 million tons by 2026. Ghana’s Intended Nationally Determined Contribution to the Paris Agreement on Climate Change specifically includes a 45 percent reduction of greenhouse gas emissions from the cocoa landscape. These two objectives require a new approach to sustainable cocoa production that controls forest cutting, builds back secondary growth forests on fallow cocoa lands, and increases cocoa productivity. Expansion of shaded cocoa systems would help Ghana achieve its greenhouse emission and cocoa production targets, improve the livelihood and resiliency of Ghana’s cocoa farmers and increase the sustainability of the global cocoa value chain, thereby benefiting global producers and consumers. What are key achievements/successes from TGCC’s Ghana work? Mapped the boundaries of the community and individual cocoa farms, and clarified and documented rights between 190 landholders and farmers in Nyame Nnae community including 120 (63 percent) males and 70 (37 percent) females. Working with migrant and indigenous farmers, documented three types of customary land tenure arrangements and negotiated agreements that reinforce the rights of farmers in seeking landowners’ consent to replant cocoa trees. Successfully tested alternative dispute resolution systems of Asankrangwa Stool to reduce conflict and strengthen application of local systems for future documentation efforts. Working with ECOM staff, developed a financial model for cocoa rehabilitation that shows it is possible to pay-back rehabilitation costs in three years while boosting farmer income and food security. Developed and successfully piloted a model of public-private partnership between USAID, Hershey’s, and ECOM that leveraged 1:1 private sector investment with field implementation costs along with other support that included office space, vehicles, planning assistance and provision of extension personnel. Provided training to community, traditional authorities and ECOM extension staff that proved effective and are transferable to future cocoa rehabilitation efforts. Developed and piloted a comprehensive model of land rights documentation, alternative dispute resolution, finance, community and traditional authority engagement and cocoa rehabilitation for purposes of further refinement, replication and scaling up. Assisted ECOM to successfully include tenure as a variable in their supply management and monitoring system. What were the key lessons learned by TGCC, particularly those that can be applied to other activities? The project successfully demonstrated that a public-private partnership linking tenure documentation, alternative dispute resolution, community engagement and financial modelling with cocoa rehabilitation was feasible. Upon completion, farmers were happy that the process protected rights of both indigenous landholders and migrant farmers including men, women, and youth. Traditional authorities from Asankrangwa district appealed for expanded participation of farmers to create peace in the community and for partners to replicate and scale up cocoa rehabilitation efforts. They further offered their leadership to advocate and support future projects with traditional authorities in other areas. The process of building tree tenure security, which takes into account deforestation, cocoa productivity, environmental quality and farmer livelihoods, can take many years. Trees and cocoa systems need maturation before many of the pilot outcomes can be realized. An evolving policy and high costs of tree tenure documentation were seen as unsustainable, requiring more strategies to lower costs and address perverse incentives that lead to loss of tree cover. The project studied how public goods and services (seedling supply, extension services, land administration and dispute resolution) can be covered given cocoa value chain constraints and tight government budgets, particularly as these costs are beyond private sector expertise and support. The project noted the necessity for dialogue and cooperation between the private and public sectors to develop strategies for lowering costs and designing innovations that promote sustainable cocoa cultivation. This cooperation can help improve the livelihoods of Ghana’s cocoa farmers, improve the profitability of the chocolate industry, provide consumers worldwide with high quality chocolate sourced from Ghana and use forest resources sustainably. Where can I find more information on the project?